Due to a family bereavement we are currently closed but we will honour all existing orders. If you have any queries please leave a message on 01631 564219, we will be checking the answer machine regularly. The Thistle & The Rose Florist is based in Oban, Argyll on the beautiful West Coast of Scotland. 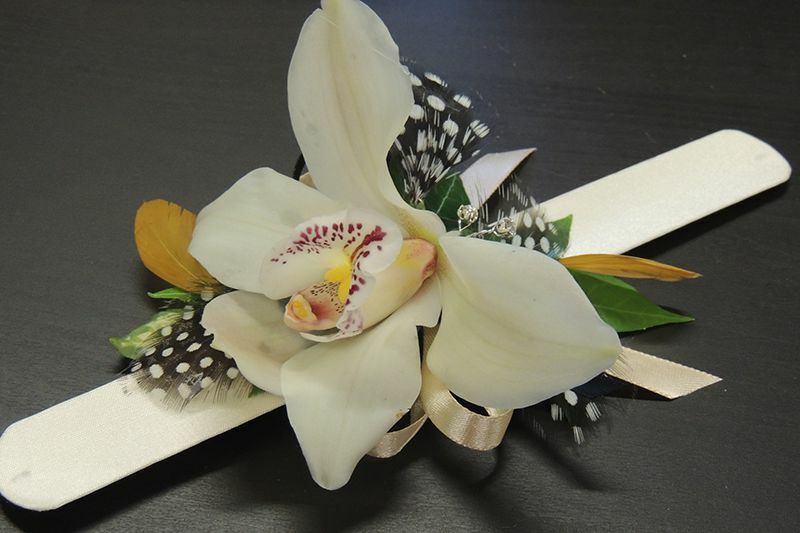 In our Oban Workshop we take pride in designing, creating and delivering beautiful bouquets and floral arrangements for those important and special occasions in life. We deliver in Oban Town and also and surrounding Villages within an approximate 25 mile radius. We generally deliver between 9-11am and 4-5pm. We can also arrange delivery to the Islands of Mull, Iona, Barra, Colonsay, Tiree and Coll via local couriers. Please don't hesitate to contact us if you require any further information regarding delivery areas. 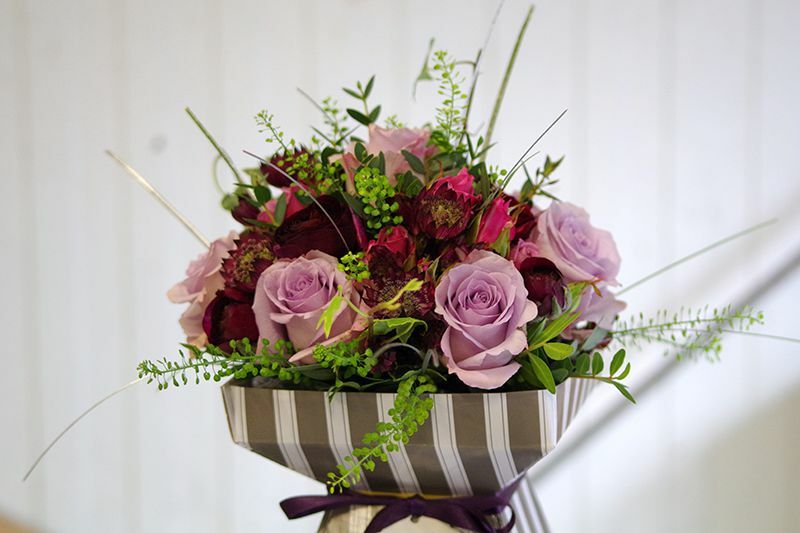 We have designed an exclusive range of beautiful hand-tied bouquets and arrangements which can be ordered directly from the online shop here on our website, or for something extra special why not pop in and see us at our Workshop in Oban and we will be more than happy to discuss your requirements. If you prefer to order by telephone please call between 11am-4pm. If you would prefer to collect your order and pay on collection, we can do that too…. Our workshop is open on weekdays 11am-4pm. Saturday collection available by request. We are absolutely delighted that The Thistle & The Rose has been accepted into the exclusive Good Florist Guide, the gold standard of floristry and the only merit-based guide to the finest florists in the UK and Republic of Ireland. This award is so very important to us and we are proud to be a member. To be part of the Guide, florists undergo a rigorous evaluation process before being approved. To apply, we submitted a detailed portfolio of our floristry business, including images of all areas of our design work, our branding, our workshop premises and even the delivery vehicle! Customer reviews and testimonials are also taken into consideration. Our application was then vetted and voted on by industry experts to ensure it met the strict criteria of not just offering gorgeous designs, but also the best service and value for bespoke floristry and flowers. We were possibly the first delivery from this new florist to the Isle of Eriska hotel for our wedding anniversary. The most interesting and diverse arrangement of flowers we have ever seen. Also they lasted exactly 3 weeks which included an all day car journey. Thank you. Just received the most beautiful bouquet of flowers today for my birthday. I can honestly say they are the most colourful, varied, full and blooming bunch of flowers I have ever seen! Thanks! 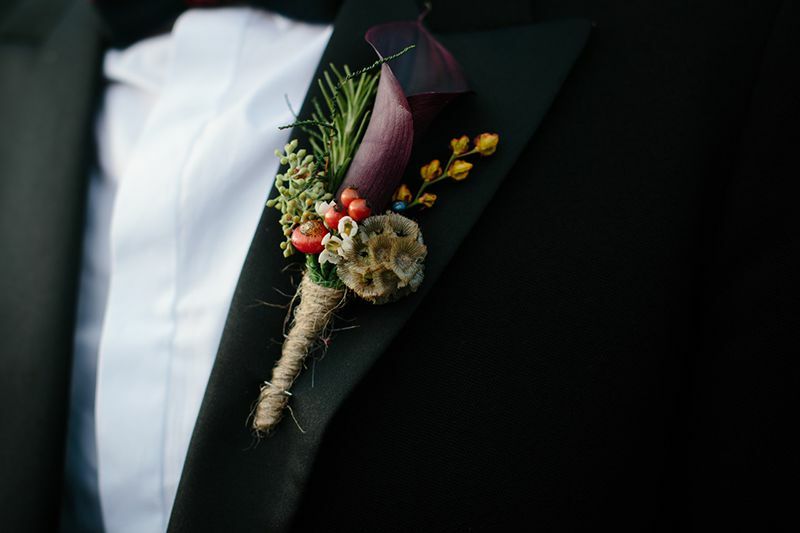 Loved my button holes for our wedding. Ordered over Facebook, delivered to my door & gorgeous! Highly recommend! Two gorgeous displays made for both my son and daughter. Ryan was very pleased with his cacti selection and Iona with her boxed display. Thank you so much for that . Justine has done a few things for me now and the flowers are always amazing, what a talented lady. Just did a wreath for the family and it is absolutely gorgeous. Wishing her many more years of success. I've followed the page for a few months and been very impressed with the photo gallery. The flowers I ordered online were beautiful, the order process was really simple because it was all done online. Beautifully presented. Definitely my florist of choice from now on!